It’s the end of the year! Can you believe it? This year has been a whirlwind for many, many reasons, and I’m kind of glad to just see it come to an end. But there are things I’m excited for and things I’m looking forward to in the new year, so let’s bring on the good times, yeah? “But Rayna, don’t you already own ToG and CoM?” Yes, but I got them in hardcover to finally match the rest of the series! Thank you to my awesome TBTB Secret Santa, Jordin @ A Bottomless Book Bag, for Shadowshaper and I’ll Give You the Sun! I can’t wait to read them! I’m so proud of the progress I made this year because I really didn’t think I would read as many as I did considering my reading rate dropped significantly around June/July. Still, I’m very happy with it and am excited for next year. My 2017 reading challenge will also be set to 30 books because I feel that’s a very attainable goal for me and it’s enough to push me to read as much as I can. Dumbledore’s Army Readathon TBR – A diverse readathon happening the first two weeks of January. What a great way to kick off the year! Hobby Corner: Keeping a Sketchbook – I think for any visual or creative person, keeping a sketchbook is very fun and beneficial to keeping those creative juices flowing. 2016 End of Year Survey – Favorites, not so favorites, surprises, and more! NaNoWriMo 2016 Week 5 – The Homestretch & Winning NaNoWriMo – Yes, that’s right: I won NaNoWriMo! It was a long, hard month of writing and being drained, but I had a really great time doing it! Writing Goals for 2017 – I talked about some of my writing goals for next year. Nothing too big, but my main goal: finish a book and do first round of edits. Festive Christmas Book Tag – Because festive anything is better than nothing! Top Ten Tuesday: Books I Wouldn’t Mind Santa Leaving Under the Tree – I picked a bunch of diverse reads for this list, as well as some other books that really interested me! Uppercase Box December Unboxing – Loved this box so much! Oh man, I can’t wait to use the things and read the book. Top Ten Tuesday: Best Books of 2016 – These are the books that I considered to be the best books I read this year. Top 5 Wednesday: Characters You’d Invite to Your New Year’s Eve Party – A bunch of characters I’d invited to my New Year’s Eve party. 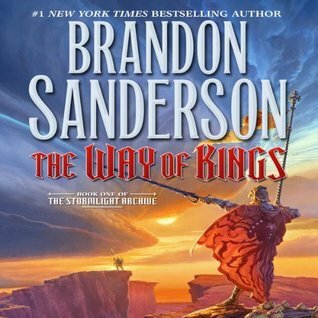 I’m joining in the 2017 Flights of Fantasy reading challenge next year! The challenge is once again running from January 1st to December 31st, so it’s the whole year to read fantasy! I’m once again going to set my fantasy reading goal to 30 books, which is a very attainable goal for someone who loves fantasy as much as I do. Sign ups are open, so join in the fun of reading fantasy over the course of the year! So over on my Instagram I did the things! I had a lot of fun participating in this month’s challenges, but I wasn’t as faithful to it as I was in November. I can’t wait to do more in January and maybe do more photos that stray away from the challenges? Not sure yet. Cait @ Paper Fury talked about the eight types of book reviewers, and I think I’m a mix of numbers 1 and 2. Hazel @ Stay Bookish talked about 2016 being the year of problematic, and frankly, I agree with her. All the Christmas parties! All the goodies! Other than work parties and parties with friends, I participated in The Broke and the Bookish’s Secret Santa this year and I had so much fun with it! I now have a pen pal and I also loved my gifts. c: It was so fun and I’m definitely going to join in next year. The gift included I’ll Give You the Sun by Jandy Nelson and Shadowshaper by Daniel Jose Older, as well as a Bookworm candle from FrostBeard Studios, an elephant holding a book magnet, Mermaid Kiss chapstick from From the Page, Pop! Funko of Ariel from The Little Mermaid (my favorite Disney princess! ), and a cute little stocking with an R on it and some candy. For Christmas my hubby and I got a PS4 (first version model from a friend so it was cheap lol), which was a gift to both of us. So for myself I got a bunch of present from me to me, and they were: Lihit Lab pencil case, Micron pens, white Gelly Roll pens, Pentel brush marker, Sailor Moon bookmarks from LumosCoffeeRead, The Night Lord candle from Muggle Library Candles, and the illustrated editions of the first two Harry Potter books. I also got Final Fantasy XV and The Last Guardian for the PS4 (which I loved and am loving both). How were your holidays? What were some of your favorite books you read this month? Did you get any bookish goodies for the holidays? Tell me all the things! 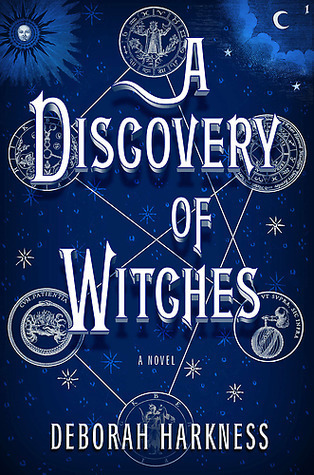 This entry was posted in Wrap-Up and tagged book haul, books, december, flights of fantasy, fun, haul, instagram, life, read, reading, updates, wrap up, wrap-up, writing. Bookmark the permalink. That’s so cool that you now have a penpal. I penpal and it has been very rewarding. Also are you gonna color your lunar chronicles coloring book? I color regularly and my husband got me the selection coloring book for Christmas. And its soooo pretty. Like part of me wants to protect it at all costs and leave it blank. But the dresses. I’m torn!!! Anyways… Happy New Year girl! Hahaha, I’ll color it eventually! I have the Throne of Glass coloring book that I started to color but there’s so many details that I got overwhelmed. Have fun with yours and happy new year!